The Singh brothers and their Volvo PV 544, 1965 The Singh brothers and their Volvo PV 544, 1965 Volvo PV 544 claiming first place at the East African Safari Rally in 1965. 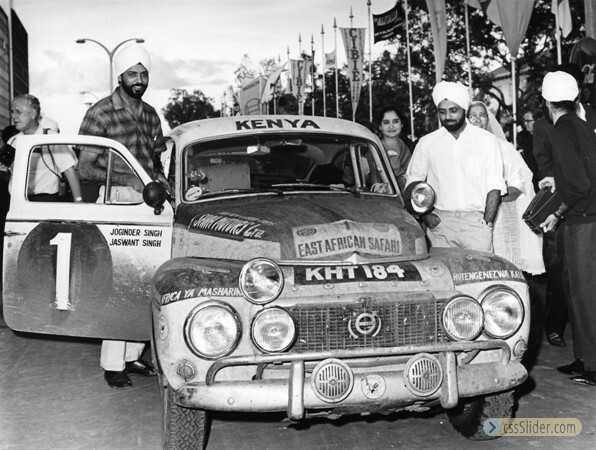 It is 50 years this April since Joginder Singh and his brother Jaswant crossed the finish line of the Safari Rally in first place in their Volvo PV 544. The white Volvo's victory in the world's toughest rally became news all over the world. Volvo enjoyed worldwide success on numerous occasions in the motorsport arena in the early 1960s. 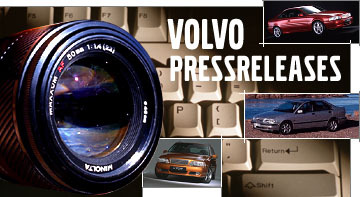 Its participation in events and some victories too generated excellent publicity for Volvo, particularly in the US market. The hunchback Volvo PV544 earned a reputation for being rugged and sporty. By 1959, Volvo had set up its own competition department and, in 1960, Gunnar Andersson won the 4620-kilometre-long endurance rally, the Gran Premio de Argentina, driving a PV544 with a B16 engine. 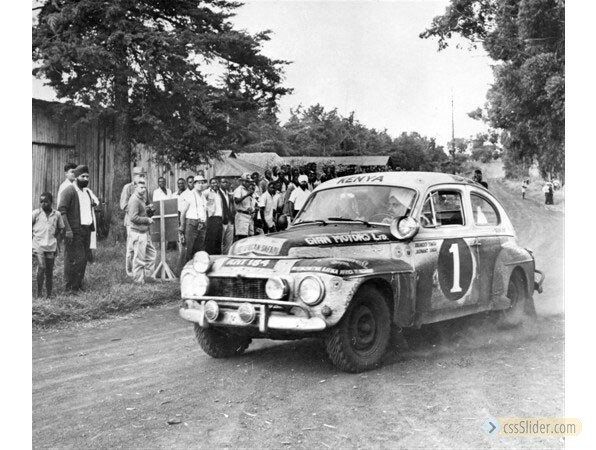 In 1961, Gunnar Andersson was appointed Volvo's competition department manager, but he continued to compete in rallies. He signed up a number of talented drivers, including Carl-Magnus Skogh, Tom Trana and Ewy Rosqvist. Volvo invested heavily in the 1964 Safari Rally. Its competition department sent four, white Volvo PV544s down to Kenya which was the starting point of the rally. The Safari cars were powered by a tuned-up B18 engine with 130 hp, reinforced front suspension with Bilstein twin-tube shock absorbers and front disc brakes, two fuel tanks and protective panels underneath the engine, gear box and fuel tanks. A strike led to a serious delay in the delivery of the cars and the team made it to the start of the rally at the eleventh hour without having had any time to practise. The Safari Rally is known as the toughest rally in the world and this year the conditions were harsher than ever. Of the 94 cars that set off, only 21 made it over the finish line. Carl-Magnus Skogh was the only Volvo driver to complete the five-day rally, but did not reach the finish within the time limit. This meant he was given no place in the standings. Tom Trana's car was left in Kenya with the importer Amazon Motors. Joginder Singh, the seasoned driver from Kenya who had competed several times in the Safari Rally, became interested in Volvo. He borrowed a PV544 from Amazon Motors in 1964 to take part in smaller rallies in Africa. Using his knowledge of engineering, Singh modified and improved the PV after each rally to make it even more suitable for the African conditions. Five months before the thirteenth Safari Rally in April 1965, Joginder Singh entered into a hire purchase agreement with Amazon Motors to buy the PV544 that Tom Trana had driven the previous year. The crashed car that had already completed two seasons was repaired and then carefully tested by Joginder and his co-driver brother Jaswant. Although the Singh brothers had enjoyed success in the Safari Rally on previous occasions when driving other makes of car, no one thought the Sikh brothers in their turbans had much of a chance this time. It had been a flop for Volvo the year before and there was stiff competition from several major car stables. Joginder and Jaswant drew number one for the starting position. In the past, this had been considered an unlucky number in the Safari Rally. It was, without a doubt, a lucky number this year, however. The first stage of the rally was dry and, as the leading car, Singh had good visibility with no one churning up the dust in front of him. The second stage was wet and muddy and the roads quickly became slippery and rutted. But the Volvo was still in the lead and the brothers had a special technique for getting out of the mud. There were two handles fitted to the rear of the car. As Joginder sat at the steering wheel endeavouring to get the narrow rear tyres to grip, Jaswant would stand on the rear bumper rocking the car to put more pressure on the drive wheels. It was a human traction control system! 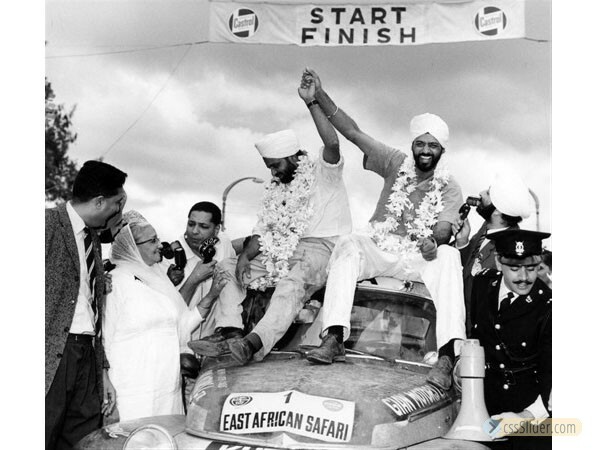 The crowd went wild when the Singh brothers crossed the finish line in Nairobi on the fifth day of the Safari Rally. They also won by the largest margin ever in the rally's history. Second place was taken by Ian Jaffray who drove up to the finish line one hour and 40 minutes later. Joginder has been popularly known as "The Flying Sikh" since then. Amazon Motors annulled the hire-purchase contract after the race and gave Joginder Singh the car. The winning car, still belonging to the Singh family, has been restored and is on display today at the Volvo Museum in Gothenburg, Sweden. Joginder Singh continued his rally career, driving various models of Volvo cars for several years. He won the Safari Rally two more times and also competed in the Swedish Rally, although not with the same success. When interviewed, he always maintained that the Volvo PV was his favourite model. Joginder Singh passed away in London in 2013 at the age of 81.